The media mogul won’t offer more concessions to win quick approval for his 11.7 bln pound bid for the UK broadcaster. That will probably trigger an extended probe which investors think makes a deal less likely. But authorities can suggest remedies to clear the way for a deal. Rupert Murdoch’s Twenty-First Century Fox is unlikely to offer further concessions to protect the editorial independence of Sky, Reuters reported on July 13 citing a source. That increases the chances that Fox’s 11.7 billion pound bid for the 61 percent of Sky it doesn’t own is referred to a full review by the Competition and Markets Authority. UK Media Secretary Karen Bradley on June 29 said she was “minded” to refer the takeover to a second investigation by the CMA, after industry regulator Ofcom said the deal raised concerns about the influence Fox Chairman Murdoch and his family would wield over the Britain’s media industry. 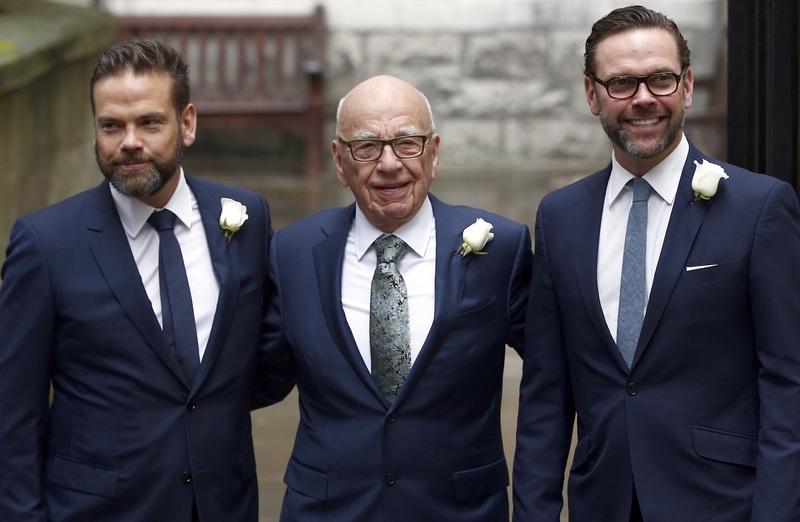 Ofcom said that “across all platforms, news sources from Fox/Sky and News Corp would be used by three in 10 adults”, and “the transaction may increase the influence that members of the Murdoch Family Trust have over the political process”. Before Ofcom’s review was released, Fox had offered undertakings to ward off a CMA review. These include establishing an independent editorial board for Sky News and maintaining a Sky-branded news service, with net investment guaranteed for the next five years at the current level. Ofcom said Fox’s proposed measures “mitigate the media plurality concerns”. Sky shares were down 0.6 percent to just under 9.70 pounds at 0845 BST on July 14. Fox’s offer is worth 10.75 pounds per share.